We often share some free assets we find online with our readers to enable them to grow an asset library that will let them create architectural visualization projects quickly. Besides the assets we point in our articles, Blender 3D Architect also has a premium newsletter that sends assets for architecture twice a week to all subscribers. 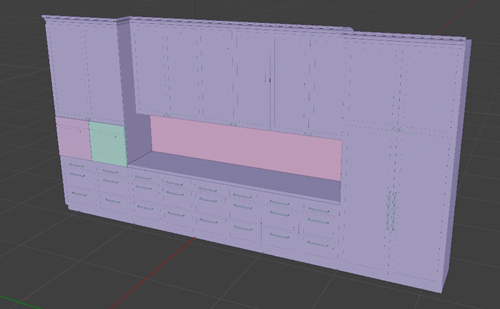 In the past week, we sent to our subscribers two models that will help with architectural visualization projects related to kitchens and dining spaces. The first one is a Selva dining table – Palazzo that comes with chairs to compose a dining space. Our subscribers also got a kitchen cabinet set with a dishwashing machine. Both models are in the Blender native file format. You can either append or link the models to your projects. Do you want to get those models and more? 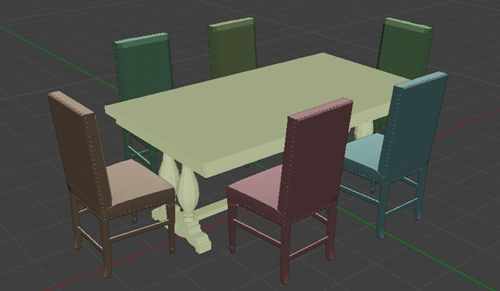 If you subscribe to the premium newsletter, you will receive new assets weekly, and also have access to our full library, which is getting close to 150 furniture, textures, and guides. Here is the full list of assets. Let me say thank you to all of our subscribers, which helps with the maintenance of Blender 3D Architect.